Hip Hop and crime movies have been a match made in hell since the earliest days of old school rap but Masterpieces like Boyz in the Hood and New Jack City have slowly been supplanted by limited vanity projects and barely watchable straight to video dreck. 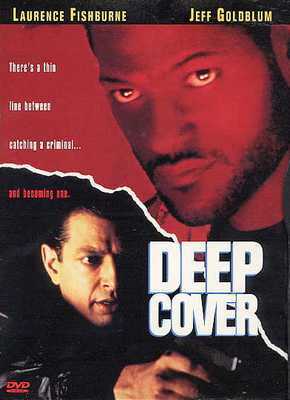 There have been a few authentic masterpieces that advanced both the crime film genre and the artistic boundaries of Hip Hop as well. Today we'll look at two gems, lesser known except among the cognoscenti. "I think you know that there's no such thing as an American anymore. No Hispanics, no Japanese, no blacks, no whites, no nothing. It's just rich people and poor people. The three of us are all rich, so we're on the same side"
Laurence Fishburne is the hero and poetic narrator, a fiercely straight edge cop compensating for the childhood pain of watching his drug addicted father gunned down on Christmas day with an iron self control. A sleazy DEA agent tells him his 'criminal personality type' makes him perfect for undercover work and reluctantly at first he sets himself up as a drug dealer to bring down a cocaine network that traces back to a South American politician. The neo-blaxploitation stylized film-making of Bill Duke (A Rage in Harlem) builds and maintains a dark atmosphere of moral dread as Fishburne's character hooks up with a corrupt lawyer played with edgy intensity by Jeff Goldblum, a successful family man with a yearning need for a gangsta lifestyle, who want's his cake and eat it too. Lines blur, loyalty is tested and Fishburne's narration gets more and more lyrical and intense. Some amazing dramatic set pieces, tight wire over the top performances and thoughtful political and philosophical speculation make this a film you can watch multiple times and find something new every time. 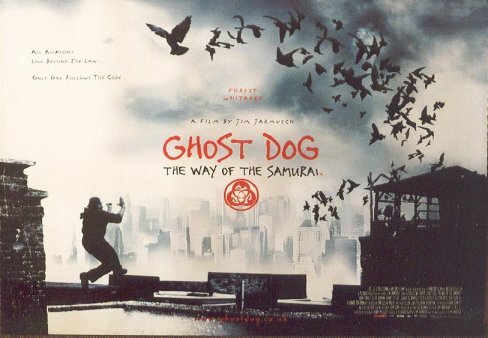 Ghost Dog: The Way of the Samurai from 2001 is a masterpiece of slow burn suspense and dramatic artifice. Director Jim Jarmusch (Dead Man, Down by Law) never makes the same movie twice, artistically and musically he always stretches boundaries with his films. Ghost Dog takes the martial arts movie fantasy world of Wu Tang Clan alum RZA who does the soundtrack and tells a darkly lyrical story about the power to choose the world we inhabit. The hero played with sleepy eyed intensity by Forest Whitaker is either a crazy assassin who lives on a roof top with pigeons and kills people for the Mafia, or he is a dedicated warrior, committed body and soul to the melancholy death worshiping code of the ancient samurai as laid out in the classic 17th century Japanese text Hagakure: The Book of the Samurai. Quotes by Whitaker from the book are interspersed throughout the film and are offered as a mournful poetic counterpoint to the ambiguity of the main character. He serves an unworthy gangster master who once saved his life, a moment of essential defining purity for Ghost Dog, but a casual throwaway whim on the part of the gangster. There's a lot of sly humor, Ghost Dog's best friends are a Haitian Ice Cream salesman, and most of their translated conversations consist of good natured misunderstanding; "I'm sorry, I don't speak English" in response to "I'm sorry I don't speak French" and a little girl waiting for the book that will change her life. The elderly fading mobsters offer the most laughs, ancient Italian Mafiosi obsessed with old school rap and cowboys and Indians. The theme is simple. Your identity, your code, your very reality is what you choose it to be, and just because you live in modern day New York doesn't mean you can't choose to be a Samurai living by an ancient code of honor.